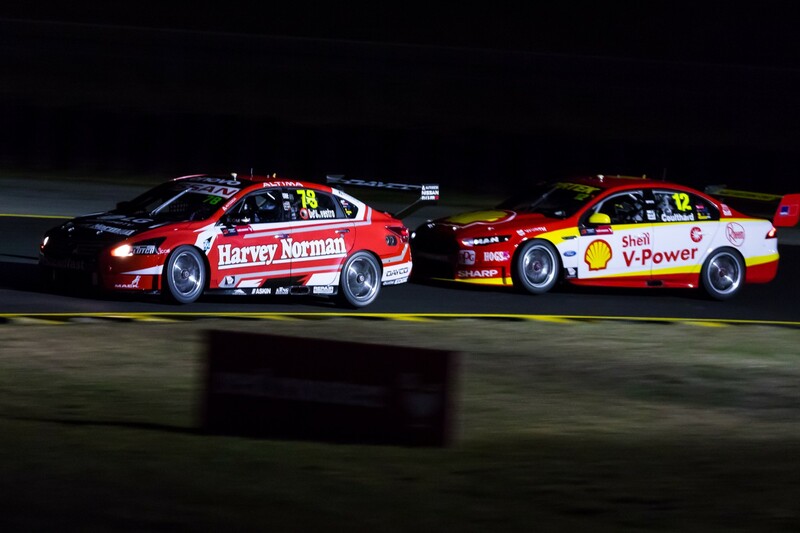 Supercars fans will be treated to two doses of night-time action at the Red Rooster Sydney SuperNight 300 in August. The Supercars Commission held a special meeting at Winton on Friday to sign-off the format for the category’s first Australian night event since 1997. Originally slated to have all Supercars sessions on the Saturday, a 40-minute Friday night practice has been added, starting at 6:00pm. The extra session will help drivers acclimatise to the temporary lighting, before a second 30-minute practice takes place from 1:15pm on Saturday. Commission members also signed off the return of the popular knockout ARMOR ALL Qualifying format, which was seen earlier this season at Symmons Plains and Barbagallo. The three-stage qualifying session will start at 4:15pm, before the 300km race gets underway at 7:20pm. Support races for Australian GT, Carrera Cup Australia and Carrera Cup Asia complete the card, with the Porsche classes to run combined races through to 6:25pm on Saturday evening. “We are really looking forward to it,” said Supercars CEO Sean Seamer of the August 3-4 event, for which multiple tests of temporary lights have already taken place. “Having cars on track on the Friday night is a huge add-on for the fans and viewers, also giving the teams and drivers valuable track time under lights before we go racing. “It’s important on two counts, firstly to give our drivers and teams the opportunity to drive in the conditions and secondly to give our fans a look at what will be an amazing spectacle. “We have done a couple of tests in different areas of the circuit which have proven a great success. The Red Rooster Sydney SuperNight 300 is the 10th event on the 2018 Virgin Australia Supercars Championship calendar, with the sixth taking place at Winton in Victoria this weekend.